Join Bamboo U, a bamboo building course to learn how to build and design with bamboo. 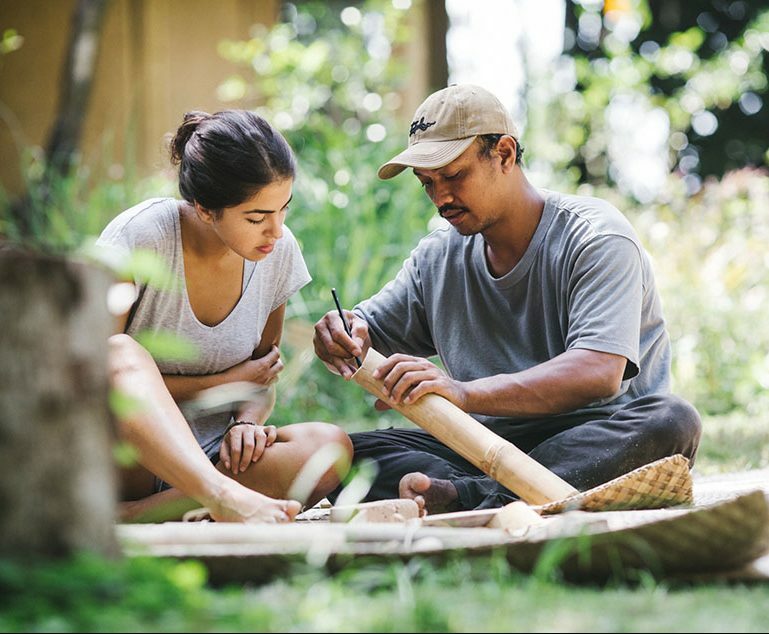 Follow a detailed curriculum, learn about the life cycle of bamboo buildings, from sustainable forestry to design and construction. Each topic is supported by both theoretical lectures and practical workshops. Learn from a team of academic lecturers and master builders. The course is about engaging with bamboo as a building material and immersing oneself both intellectually and kinesthetically to create a cohesive understanding of how to best apply bamboo to any context. Every course offers the opportunity to build full-scale structures and to develop design skills that will help inform your own personal design project.